A new KFC store has recently opened in St Budeaux, Plymouth. PEP assisted KFC on the transport planning work including preparation of the Transport Statement and Travel Plan. Following the granting of planning permission PEP prepared detailed construction drawings for a S278 Highway Agreement. 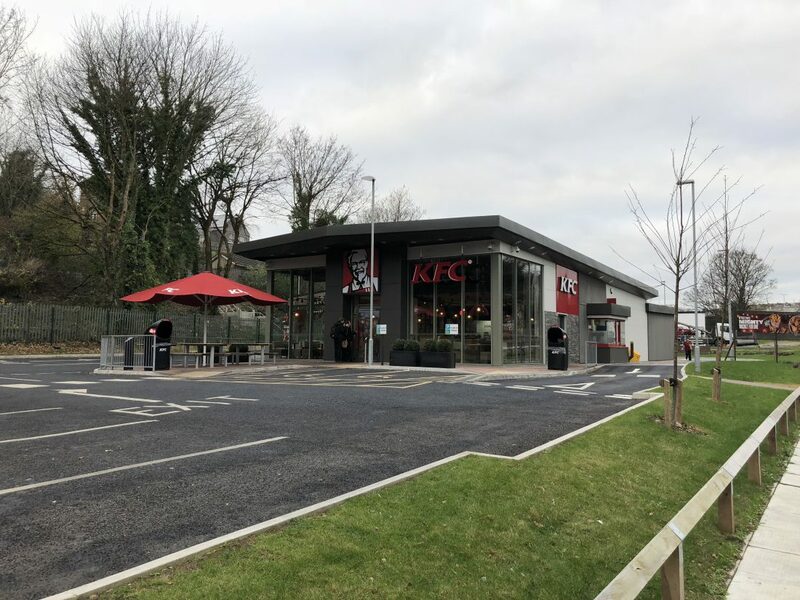 PEP have also assisted in achieving planning permission for two other KFCs in 2017 in Bedhampton in Hampshire, and Swansea, which are due to open later this year. Work included preparation of Transport Assessments, Travel Plans and assisting with site layout design.